This is by far the best weapon I ever had. 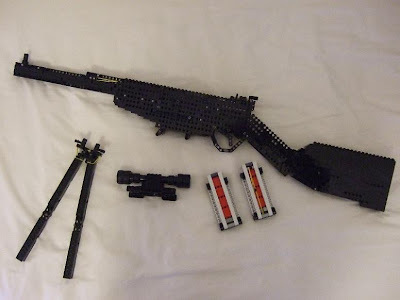 This is a magazine fed rifle labor in the configuration of the bolt, with detachable magazines, a sniper scope and bi-pod. means "Bolt Action 'every time you want to load a round, you flick the bolt lever, pull back, push back and forth. This will extract a block of 1x4 magazine, pull the" hammer "elastic (), put the brick in the bedroom and snap the elastic on the back of it. bolt action rifle was one of the first type of rifle and pump action lever. They were used in World War I and World War II, which are reliable and easy to use. This gun has a range of snipers, are bi-pod and two 8-round magazines. 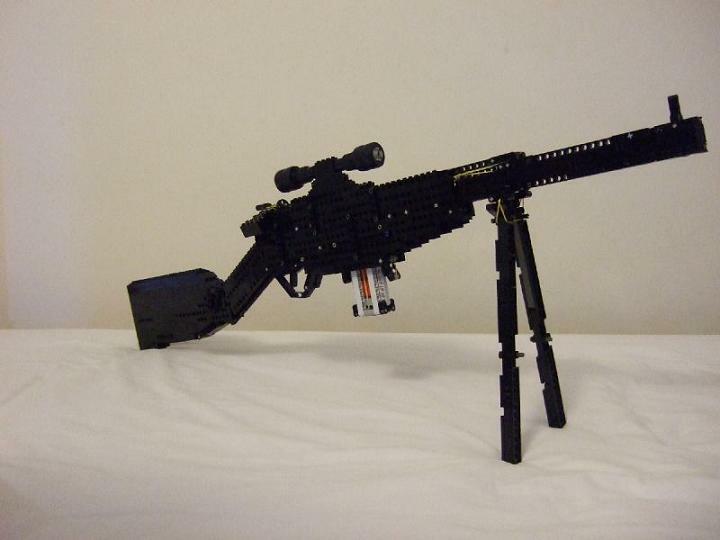 The stand is foldable and removable and attaches to the front of the barrel. When you break your legs are parallel with the barrel. The sniper scope seems genuine, but when you aim with it, makes you look through a small hole in scope, I could not get real low. The mechanism is quite simple, and should almost never jams.